David Galligan, a well-known director in the California theater scene, purchased a country home in New Milford . NEW MILFORD — David Galligan, a noted director in California theater, was sitting in an Adirondack chair near a river in Washington, Conn., last year when he and his dog, Benson, saw a deer pause before them. It was in that moment that he decided to leave California — where he had lived his whole life — and move to Connecticut, where he could find peace and embrace the New England scenery. He bought an antique saltbox house on Buckingham Road this winter and moved in Jan. 2, just before a major snowstorm and amid record low temperatures. But even with the recent snow, cold and rain, Galligan said, it’s been an easy adjustment. He’s enjoyed staring out of the window and taking in the views of his property. The house sits on a little more than an acre and features woods, gardens, stone walls and a historic barn. There is also a pool that Galligan said he can’t wait to use. He was born and raised in San Francisco and has spent his life around water. When he was 13, he became the youngest person to swim across the body of water underneath the Golden Gate Bridge. “I’ll be using that swimming pool a lot,” he said. An older lamppost also greets visitors as they approach the house. ”It looks like a Christmas card," he said. Galligan’s friend, Gene Reed, who lives in the area, and listing agent Grace Franjola spent six months finding him the perfect home. Franjola knew of the house at Buckingham Road and its interesting history. It was built in the late 1700s, and had been featured in a magazine in the 1950s for the work the owners had done to modernize the home while restoring its early American feel. Once Galligan purchased the house, Franjola and Reed set about getting it ready for his arrival. “We worked around the clock, painting, fixing and repairing the house,” Franjola said. 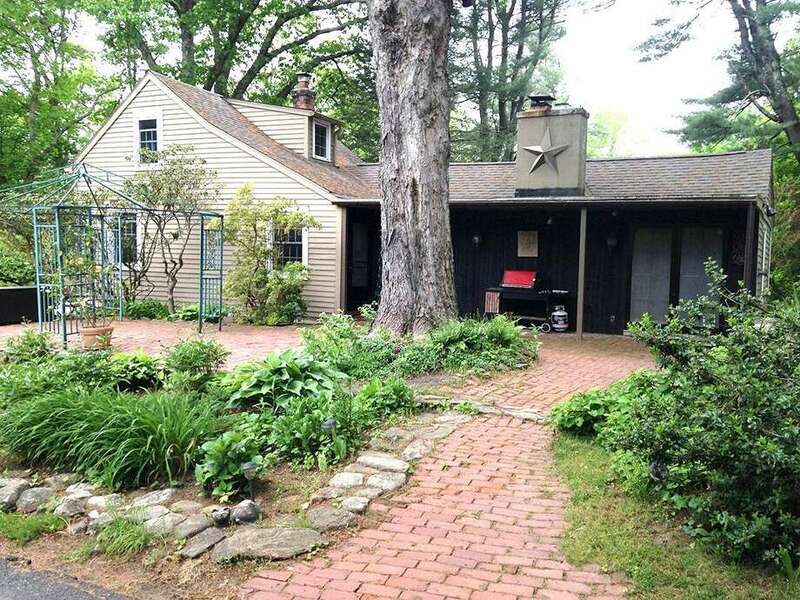 Galligan said he’s very pleased with his new Connecticut home, especially the older elements such as the wide plank floors with exposed beams. He said New England has more appreciation and focus on the country’s history than California.